This entry was posted on April 9, 2014. 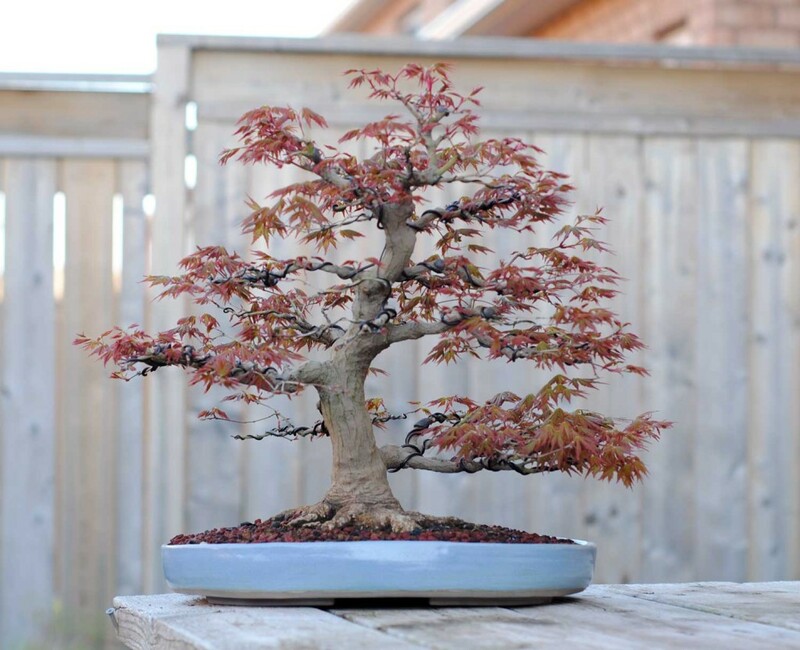 It was filed under Bonsai, Canada, Imported Trees, Pots and was tagged with Acer palmatum, Bonsai, Japanese Maple, Toronto. Looks great, congratulations! Maples are the best, and surprisingly resilient even in the cold. Beautiful tree, one day I will get brave enough to try a Japanese Maple. I have safe winter storage, but I understand they can be difficult. I like the idea of supporting local talent, when I have a tree worthy of such a nice pot, I’ll be in touch. Very nice planting height. 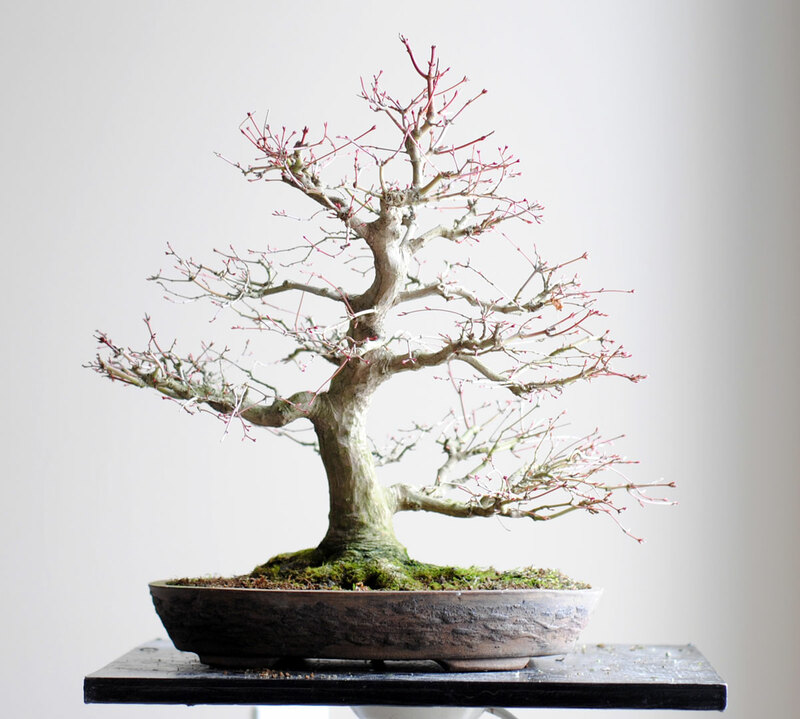 The pot helps to show off the colour of the maple and draws more attention to the texture of the tree. That aqua-blue is one of my favourite colours!